Muhammad Naeem Iqbal The School of Life Sciences, Fujian Agriculture and Forestry University, Fuzhou 350002, China; Pakistan Science Mission (PSM), Narowal (Noor Kot 51770), Pakistan. Asfa Ashraf The School of Life Sciences, Fujian Normal University, Fuzhou 350117, China; Pakistan Science Mission (PSM), Narowal (Noor Kot 51770), Pakistan. We are pleased to announce that starting in January 2019; International Journal of Nanotechnology and Allied Sciences (IJNAS) will publish tri-annually; 3 three online issues (October–January, February–May, and June–September). This change will facilitate expanded discoverability of the contents via a quarterly table of contents, indexing, and other archival services in a timely manner. The journal works on open access policy and provides immediate open access to all content in order to make research freely available to the public, and ensure a global exchange of knowledge. Articles are published online immediately after acceptance in the upcoming issues of the journal. IJNAS is committed to publishing selective and high quality content that is accessible to researchers from a broad spectrum of disciplines. Topics include all aspects of nanotechnology, nanosciences, nanoparticles formulation, smart drug delivery, nanophysics, photovoltaics and solar cells, nanotoxicology, nanomanufacturing, nanoengineering, nanobiotechnology, biotechnology, microbiology, immunology, green technology, nanomedicine, nanopharmaceuticals, nano-agriculture, biomedical science, and more. Over the last two years, the valued contributions from the authors and the volunteer participation of the many dedicated colleagues in the peer-review process have been vital to the beginning, continuing strength and success of International Journal of Nanotechnology and Allied Sciences. We sincerely appreciate all your contributions and look forward to your continued enthusiasm and support in the coming years. Iqbal, M.N, Ashraf, A., 2018. Editorial: Change Publication Frequency in 2019. Int. J. Nanotechnol. Allied Sci., 2(2): 2(2): 61-62. Copyright @ 2017 PSM All rights reserved. 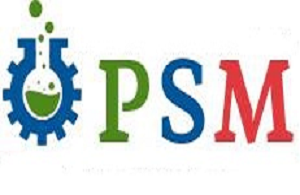 Open Access by PSM is licensed under a Creative Commons Attribution-NonCommercial 4.0 International License.